Our Chippendale Sofa has a camel-back with rolling arms and molded legs joined by hand mortised stretchers. The sofa base is joined with mortise and tenon construction and all the joints are hand fitted. All dovetails are cut by hand. The legs and stretchers are constructed from fine South American Mahogany. 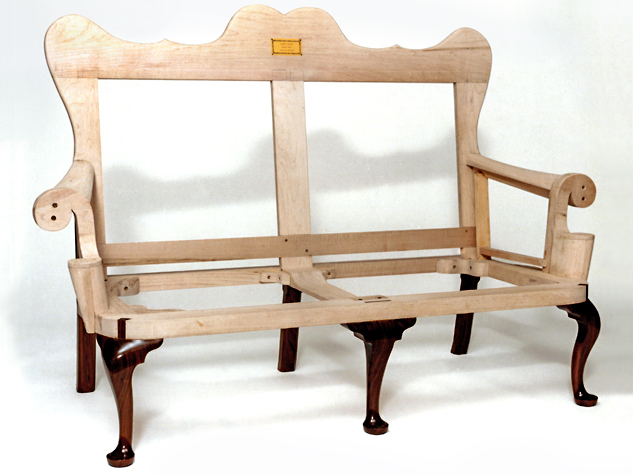 The secondary woods for the frame include maple, oak, and popular. 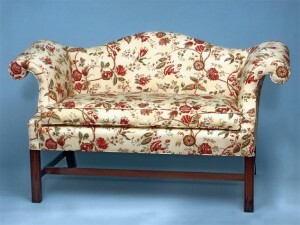 The antique finish is hand applies and rubbed to achieve a rich patina. 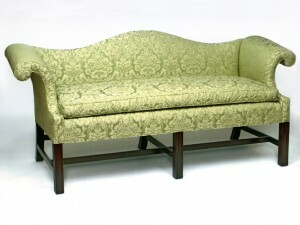 This settee has a scalloped crest rail on its upper edge which leads to upright conical outward scrolling arms. The rear legs have chamfered edges. 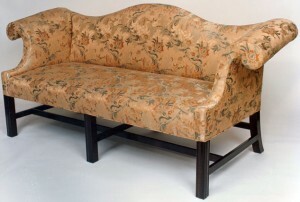 The front corner cabriole legs, with pad feet, continue as large dowels through the seat rails; the middle front leg is tenoned through the front rail. 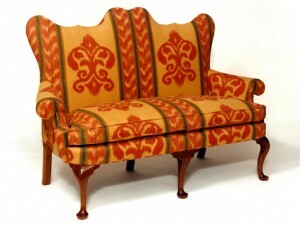 The antique finish is hand applied and rubbed to achieve a rich patina. Traditional mortise and tenon construction. 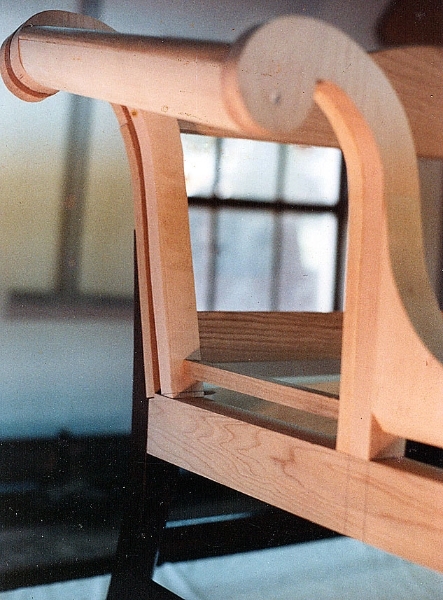 The medial stretcher is dovetailed to the stretchers that are tenoned into the front and rear legs. The seat is fully sprung with top quality materials being used throughout. The antique finish is hand applied and rubbed to achieve a rich patina.